What's so natural in SPLENDA® Naturals Stevia Sweeteners? Everything. 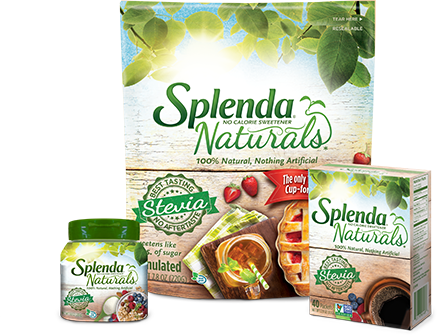 SPLENDA® Naturals Stevia Sweetener Products are made with stevia leaf extract and are 100% natural. Plus, unlike other stevia sweeteners you may have tried, SPLENDA® Naturals has no bitter aftertaste. And we're proud to introduce the only 100% natural stevia cup-for-cup sweetener: SPLENDA® Naturals Sweetener, Granulated. 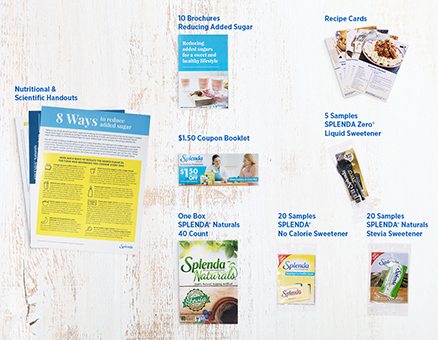 Sign Up For The SPLENDA® Exchange! Make sure to sign up for our newsletter to receive updates on the latest product news, peer-reviewed research, recipes, and more. You'll also receive our new HCP toolkit with product samples, patient education materials, coupons, and more.